BUZZ! 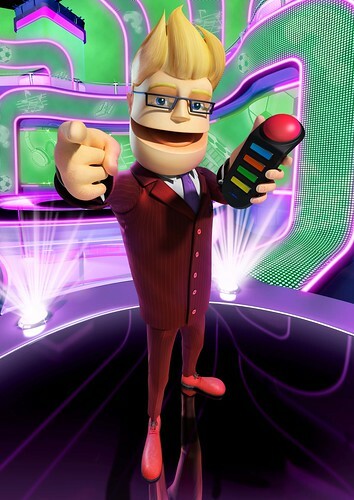 Quiz World Launches Next Week on PS3! We’re just a week out from the launch of BUZZ! 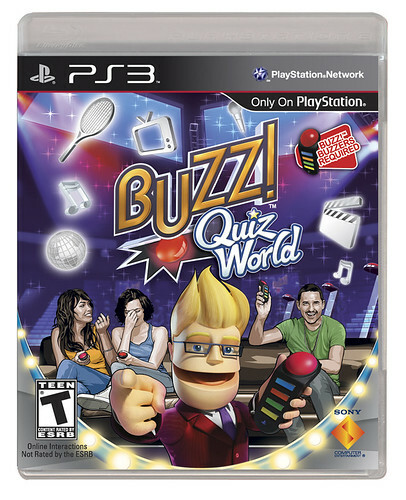 Quiz World PS3 on November 10, so we wanted to take a moment to give you a little information about the latest BUZZ! installment on PS3 and get you excited for its release. If you’re familiar with the BUZZ! franchise, you’ve already been introduced to the trivia host-with-the-most, Buzz. Well, now he returns to an all-new hi-def game-show studio surrounded by contestants old and new! And this time, you can personalize your character by selecting from hundreds of preset names and hear Buzz call you out by your own moniker. The level of customization goes even further with the new option to build your own game by selecting your favorite round types and quizzes. And with more than 5,000 new questions and the addition of several new round types—including “Over the Edge,” which involves a pit of goo awaiting those who answer questions incorrectly—your BUZZ! games have just gotten that much more fun! BUZZ! Quiz World also reintroduces MyBUZZ user-generated quizzes meaning your question bank is still virtually limitless. And the online multiplayer “Sofa vs. Sofa” mode has been expanded to eight players. But, the fun doesn’t need to end there. BUZZ! Quiz World will be supported after launch with downloadable quiz packs from PlayStation Network. Quiz packs previously purchased for BUZZ! Quiz TV will also work with BUZZ! Quiz World. We’ll also be launching a BUZZ! Quiz World title for PSP very soon, but we’ll have more information on that at a later date. We can’t wait for you to get your hands on BUZZ! Quiz World and let us know what you think. We think you’ll have a blast, but don’t take our word for it! Check out some previews that have been coming in from a few of our media friends. This will be my first Buzz purchase I can’t wait to have Buzz Partys!!! Yes, the buzzers are wireless. Best Buy was supposed to get a pre-order bonus, the Video Game Trivia Pack….is that still happening? does my DLC from the other game work on this one? Will this have more multimedia video and song questions instead of Buzz just reading them? Sorry I know nothing about this game. Do you have to have the buzzers in order to play or can you not just use the controller?